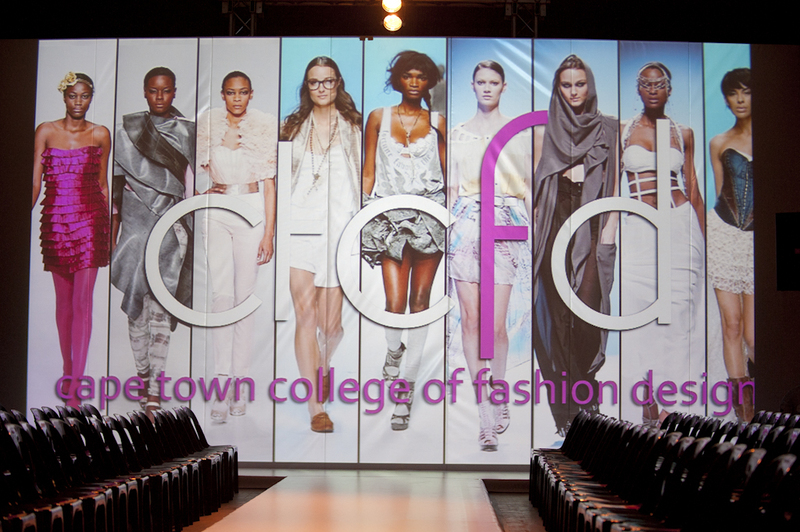 The Cape Town College of Fashion Design hosted their annual graduation show with fine attraction and glowing potential! Gathered at the City Hall, the finest up and coming designers from the “Mother City” showcased their designs, potential and commitment throughout the year in absolute style! Creating huge optimism for the future of fashion designers in CT! 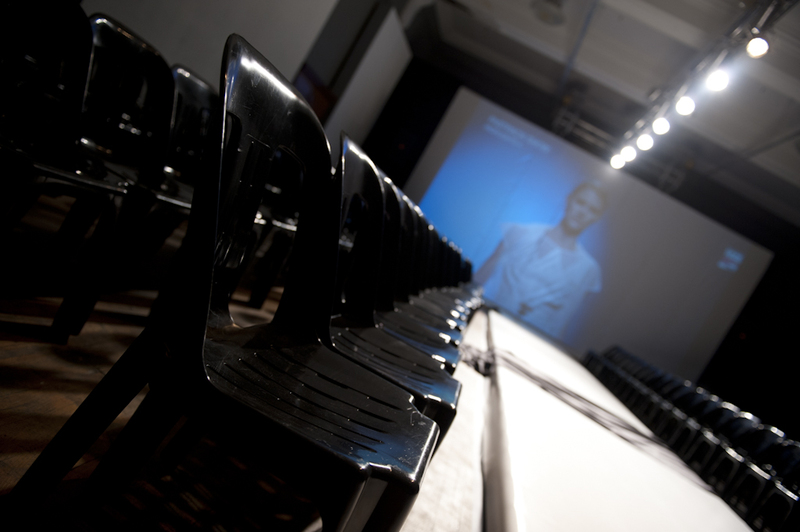 AV Direct provided the technical to make the show even more outstanding! 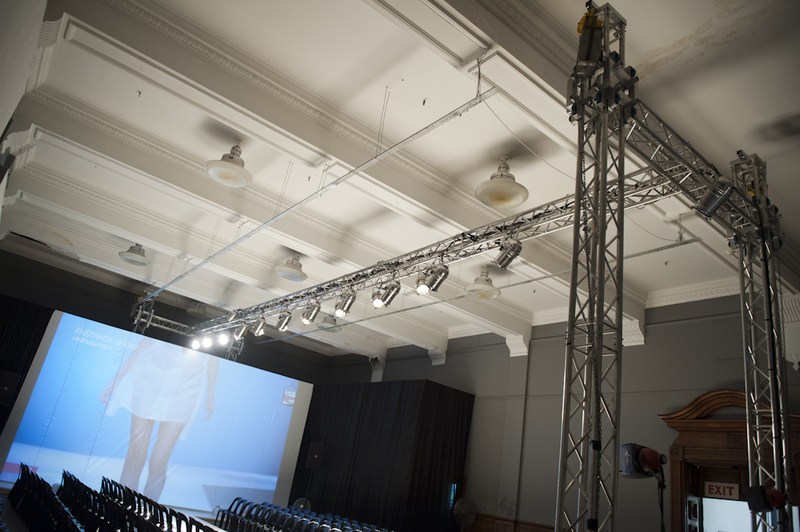 After setting up the 2m x 14m white runway, a 15m x 4.5m Truss support system was erected. 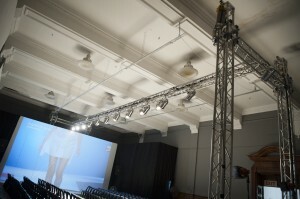 This was fitted with over 20 ParCan fixtures, Profile Spots and T-Spot lights. A 11m x 4.4m set was put together cladded in white PVC to create a backdrop and projector screen. We projected from about 15.5m to create an awesome image across the entire set using Christie projection (As seen above). Partnering Devon Anderson Concepts this event was never going to disappoint. The event attracted hundreds of exciting fans and fashionista’s to catch a glimpse of the awesome talent on show. Anna Rousseau, Brittany Donovan, Carrie Ferreira, Charis Dawson, Jessica Schwartz, Jill Wantenaar, Lila Pretorius, Katherine Brand, Marcia Augusto, Paula Millar, Staci van Rooi, Tamsyn Weil, Taryn Alcock, Julia Kimberlee, Michaeline Wessels and Robyn Jane.